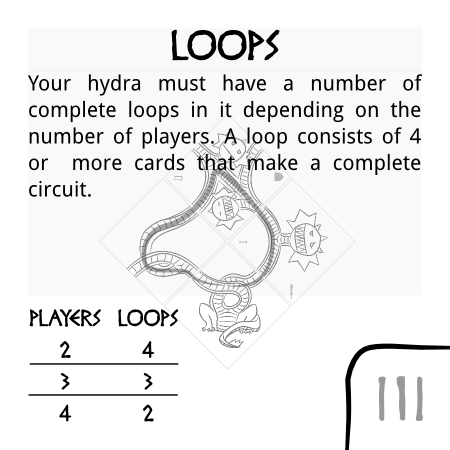 Labour cards are a new addition to Hydras that are in development right now. They will be available for download in the upcoming weeks. Each player is dealt a number of labour cards at the beginning of the game and must choose a subset of those cards. Each of those labours is a goal for that player to complete before the end of the game. If they complete the labour then they earn that many points. If they fail then they lose that many points. Below are a couple of examples of what labours might look like. Understand that these are very much a work in progress and the layout and values are all subject to change. 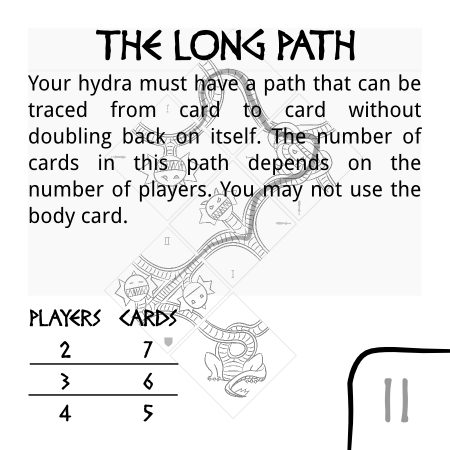 I'd very much appreciate your feedback on both the idea of the mechanic, as well as the layout of the cards. Let me know on Facebook or by email.